The rise of obesity in Canadian youth is a pressing issue that Balife Inc., as a socially conscious company, works to reduce. Balife’s product, the Baliband, promotes healthy lifestyles by requiring youth to exercise to earn extra time on their computer. The system consists of a heart rate monitor that quantitatively tracks exercise by the amount of calories burned, and computer software that restricts access depending on amount of calories burned. In the future, Balife Inc. plans to expand this concept into the television and gaming system market. Our team was highly successful, winning “Best Application of Theme” and “Best Application of Scientific Principals.” We were also chosen to be the team to represent Memorial University at the Shad Cup on October 25, 2012. I was the engineering team leader, and as we moved on to prepare for the national Shad Cup, I also became a co-leader of the newly expanded 41 person team. 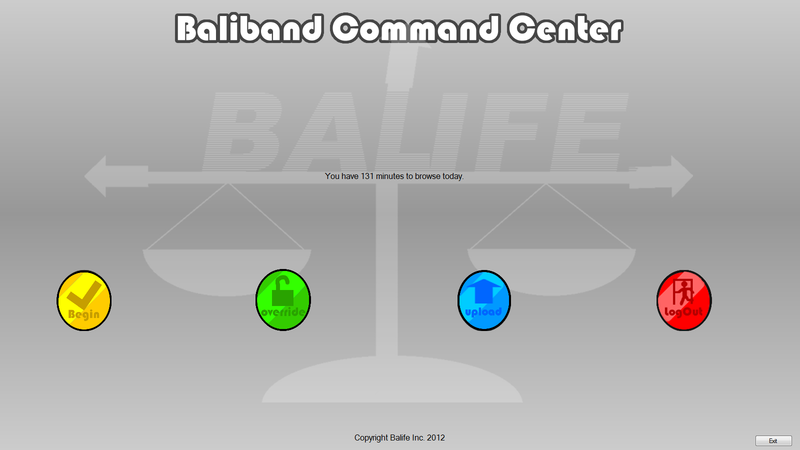 I designed the initial versions of the “Baliband Desktop Software” (pictured below), then worked with others to improve it as the team expanded. I also created a design for a wrist based heart rate monitor that worked without a chest strap. Additionally, I designed the “Baliband Desktop Software” to work with an off the shelf heart rate monitor for demonstration purposes. Finally, I created user manuals, technical specifications, and an explanation in the business plan detailing all the features and science behind the project. Examples of all my contributions are available by hovering over “Balife Inc – Shad Valley Project” in the menu bar.